At the centre where I live at the moment it is the tradition to do the Yamantaka self-initiation every month, as a method of restoring our tantric commitments and the blessings received at initiation. It seems to me the Gelug tradition emphasizes self initiation as one of the best practices for repairing samaya, and also when a loved one dies it is common for the relatives to sponsor self-initiation rituals from qualified monks. I was wondering if Sakya, Nyingma and Kagyu often perform self initiations as well. How are you defining self-initiation in the context of your question (how would it differ from deity yoga for example)? As a self abhiseka, or empowerment. The Tibetan term bdag 'jug could be translated literally as self-entry. I will try to outline without going into too much detail as it is an Anuttarayoga related ritual- but basically, guiding oneself (or going as a group) into the mandala, receiving the initiation, and in this way restoring one's commitments. I am speaking about the extensive ritual which includes the recitation of the sadhana, and then an elaborate liturgy for entering the mandala and receiving the various empowerments. In the case of Yamantaka this takes the better part of a day to complete. There is an extremely concise self-initiation ritual but this is not considered the "real deal" by many of the lamas I have spoken to, and is for daily recitation, rather than the extensive one that is done occasionally. I am speaking about the extensive ritual which includes the recitation of the sadhana, and then an elaborate liturgy for entering the mandala and receiving the various empowerments.. In Sakya several sadhanas include empowerment as part of the sadhana - this is done briefly (as opposed to the actual empowerment that one received). So at this level of practice this is not elaborate. I have never seen the obvious self-empowerment commonly done during HHDL Kalachakras for example done in Sakya or Nyingma although this is not to say that they aren't done. In both Sakya and Nyingma tsok is the preferred method of restoration of vows and commitments. Dak juk (self-empowerment) is an essential feature of Kagyu sadhanas, as well. It's normally only done after one has completed the requisite recitation requirements for the nyenpa, though...as part of a drupcho, first of all, and subsequently, on one's own after Jinsek is completed, maybe on a monthly basis with a tsok. In the Nyingma this is definitely done-- best case monthly, or at least annually. of self-initiation relying on the mandala of 100 peaceful and wrathful deities. It is not common in the west do it monthly, but many centers do it annually. ngodrup wrote: In the Nyingma this is definitely done-- best case monthly, or at least annually. There is a very short self-empowerment in the shitro practice I do also. Off topic I also would like to say that there are shitro's were the mandala isn't a "Body Mandala" of Vajrasattva". It seems it is pretty universal then, but with the Nyinma tradition emphasizing it in terms of the Shitro. Within the Shitro most of the various yidams being practiced by individual practitioners would be covered I guess. I think a complete Sarma method will have a Dak Juk section--Id bet the Sakya methods include this as well. Many Sarma sadhanas also have a short "empowerment" section after the self-generation, and before the mantra recitation section. I'm not familiar with the Kama methods, but will check out some texts to see if the Dak Juk is included. It's not a common feature in termas, from what I've seen, but there are other "self-empowerment methods" in termas.....I believe this is likely doctrinal, due to the Dzokchen view. I did not intend to imply that all Shitro systems are a body mandala. in the termas such as the Karling shitro. Also, there are termas other than shitro that have self-initiation within the cycle. 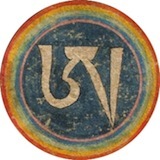 You will find it, for example, in the Dakini cycles of the Dudjom Tersar. But it may not be an element in all or even most. Shitro is more popular, I'll hypothesize that it has to do with the "completeness"
to the fact that in the Nyingma, Guhyagarba is the root- tantra. Including the below answers for Nyingma, such puja like "shower of blessing", or daily vajrasattva 100 sylables mantra, or protectors practice with serkyem, also there is some kind of short special essence initation that refresh all samayas and so on. Take a axample: HE Gangtang Tulku do it before every retreat of dzogchen for the retreatants, and it last only few ours instead of min 9 days of whole cycle of dzogchen initations from Pema Lingpa (inluding khandro nyinthig and anuyoga). Nevertheless the mahayoga, I'm not sure if there is the self-initation made by the practitioner only (without others help and for their own purpose) particularly for dzogchen or even for anuyoga? Of course you alone try to recognize Rigpa which already was introduced, at least . Mariusz wrote: Including the below answers for Nyingma, such puja like "shower of blessing", or daily vajrasattva 100 sylables mantra, or protectors practice with serkyem, also there is some kind of short special essence initation that refresh all samayas and so on. Take a axample: HE Gangtang Tulku do it before every retreat of dzogchen for the retreatants, and it last only few ours instead of min 9 days of whole cycle of dzogchen initations from Pema Lingpa (inluding khandro nyinthig and anuyoga). The major deity cycles in the Longchen Nyingthig and the Dudjom Tersar have dag juk texts. They are not part of the lay jyang (the main practice text of the deity), but rather in the collected works (sung bum) section for all the additional practices to "plug in" to the sadhana. One can do these as an individual, but because of the ritual involved -- with all the implements and substances used for a wang -- it is more practical for a group to do. For example, we did the Vajrasattva (Dorsem Lama Chopa) dak jug and tsog every day for weeks while Dungse Thinley Norbu Rinpoche was in Thukdam. Where I come from, doing a ritual like this related to a sadhana is regarded as exclusively an Mahayoga thing. Anuyoga and Atiyoga practitioners empower themselves all the time via different methods. That being said, Namkhai Norbu seems to teach that certain sadhanas -without any tsa lung practice-- are "anuyoga," even when other lamas would view the same ley jyang as Maha Ati. I'm sure he has scholarly reasons for this, seemingly based on reasoning about how the deity is generated, but these seem to be different than Dudjom Rinpoche's reasoning, or any other Nyingma lama I've encountered thus far. Yudron wrote: Where I come from, doing a ritual like this related to a sadhana is regarded as exclusively an Mahayoga thing. Anuyoga and Atiyoga practitioners empower themselves all the time via different methods. Did you mean the methods to "get" Rigpa directly or other specific? for example there are some "cutting through" methods of khordas ruszen or trekcho (dzogchen) or one can "relax" after the exercises of tsalung (anuyoga)? I'm afraid I'm not qualified to talk about those kind of things because I am not a master of either anuyoga or atiyoga. So, here I am, bringing these topics up. Bad Yudron. I know BTW "empower themselves" it is not proper term for dzogchen I think, so why I was interested what you meant generally. Well, you would know better than I, Mariusz. Mariusz wrote: I know BTW "empower themselves" it is not proper term for dzogchen I think, so why I was interested what you meant generally. Sadhana's that belong to Dzogchen cycles have long or short self-empowerment rituals, that is a fact. Taklung Tsetrul Rinpoche said that the Lama Gongdu contained complete teachings on Mahayoga, Anuyoga and Atiyoga. He continued saying that most other termas didn't contain the complete teachings in the way like Lama Gongdu do but that they only contained a little of this or a little of that. It certainly is proper for Dzogchen practitioners to perform the self-empowerment, that is of course if they are capable of doing it and have received the instructions how to do it. Often it seems to be a separate text, as mentioned by Yudron, that is added at the right point in the sadhana when performing amendment and purification and tsog. Yes, but i asked only considering Anuyoga or Atiyoga alone, not considering anything containing Mahayoga. Can you provide tibetan term "self-initiation" used for Dzogchen, which is without Mahayoga, as for example from the Nyinthig? In the Nyingthig there is always some Mahayoga and Anuyoga that goes together with Dzogchen. If you know of some Nyingthig cycle that don't have that feel free to list them. I am not so learned so there could be something, but it is certainly not the rule. Self-initation for any Nyinthig necessary according to you??? I know for sure when you want practice khandro nyinthig according to Kunzang Gongpa Kundu full cycle of Dzogchen from Pema Lingpa you at least have to receive initially this from the master of Dzogchen: http://yeshekhorlo.mahajana.net/2012/04 ... roj-polen/ Initiation Kün­zang Gongdü (Zhi-Tro) one-day initation. Of course in the future you will receive other initiations when you progress in further retreats, for example Rigpa Tsel Wang. These info are available for everyone from yeshekhorlo internet.